A fresh positive approach and lots of enthusiasm are the hallmarks of the Judaic School of the Arts. Your child's unique style of living and learning is valued and nurtured. Our main goals are to help your child develop a feeling of self worth and individuality, and to teach your child appropriate communication skills and a feeling of sensitivity to the needs of others. At JSOTA we encourage children to observe the world around them, thereby enabling them to express themselves in a variety of ways. Through hands on learning and active participation, learning goes beyond mere knowing to experiencing. Judaic School of the Arts is a place where parents and, indeed, the entire family play a very integral part of the educational process. 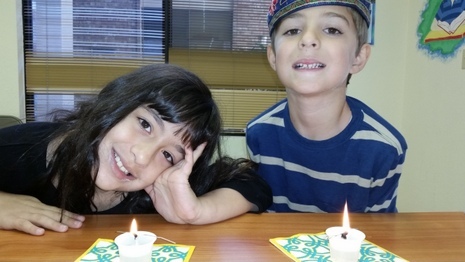 Through holiday celebrations, birthday parties, newsletters, parent-teacher conferences, and social activities, your family becomes a significant part of our very special Jewish community. We hope to make you and your child feel like a part of our "family." Our staff is hand-picked, not only for their experience and credentials, but most of all for their warmth and caring. With the guidance of experienced and loving teachers your child will be motivated to grow socially, morally and academically. Your child's safety is our number one priority. 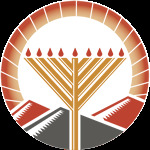 The Judaic School of the Arts is open to the Jewish community on Sundays, 10:00am - 12:00pm. The program for 2016/17 will begin on Sunday, October 30 and will continue for the duration of the scholastic year. This program is catered to children aged 3 - 12. A nutritious snack will be served each week. Our facility is located at the Chabad Education Center, 6516 Escondido Drive Suite B4, El Paso Texas, 79912. Synagogue membership is not required. All are welcome. Building The Jewish Future . . . One Child At a Time.